The car stereo system is the centerpiece of any car audio system. Perhaps you’re often fiddling with the treble and bass controls or even reducing the volume for certain songs since the sound is unbearable. Do not panic; you probably need to purchase a new car stereo system. Well, searching for the best stereo system for your car can be a daunting task. Remember, a wrong choice on the stereo system for your car will cost you money, time, effort, and quality. 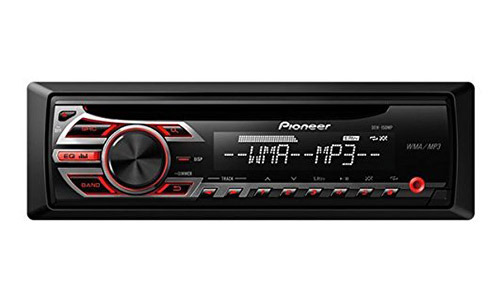 Hence, before spending your hard earned cash, how about considering the following best cheap car stereo in 2019? Enjoy music and hands-free calling by purchasing this system. 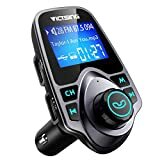 The stereo comes with a large 1.44” screen to show an incoming number, volume, voltage level of the car battery, FM frequency alongside the name of the song if you’re playing music from USB flash disk or Micro SD card. The system is foldable, delicate and convenient; you can comfortably adjust the flexible neck to have an excellent angle of view for convenience. What’s more, the system makes crystal clear hands-free calls and comes with CVC noise cancellation technology. You’ll love the universal compatibility with a Bluetooth transmitter that effectively works with your iPad, iPod, iPhones; just to mention a few. 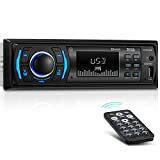 You’ll probably love this system that comes with Bluetooth compatibility to make hands-free calls, Bluetooth Audio Streaming and can play with Bluetooth, SD/USB/MP3/WMA, AM/FM, and Digital Media from Smart Phones. Better still, the system comes with USB, SD, and AUX input not to mention the Front Pre Amp output. You’ll definitely love the 50 Watts × 4 Max Power, the Balance, Fader, Bass, Treble, and built-in EQ preset. 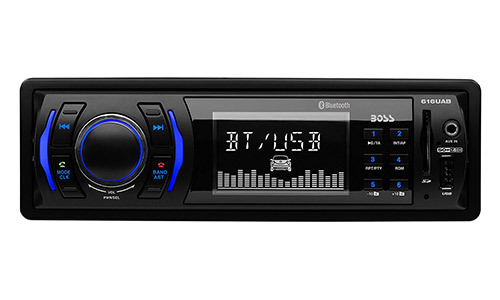 The stereo has a wireless remote and comes with a 3-year Platinum Online Dealer Warranty. 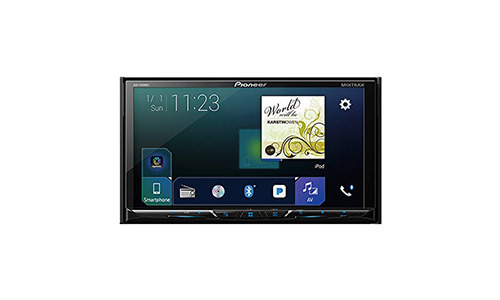 This Pioneer NEX entertainment system features an innovative and powerful interface that is responsive, highly customizable, and user-friendly. 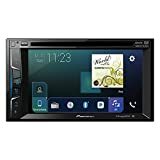 The stereo system is actually a Multimedia DVD receiver that comes with 6.2” WVGA display, built-in Bluetooth, Apple carplay, SiriusXM-ready, and app radio mode. What’s more, the stereo system works with Spotify, Pandora, and enables hands-free calling and audio streaming. The DEH-150MP Stereo System is a single line and comes with multi-segmented LCD display. The power output at peak is 50 Watt × 4 channels. You’ll also love the fact that the stereo has a detachable face and comes with a CEA-2006 Compliant amplifier. What’s more, the system comes with a wireless remote control. You can customize your sound with a 5-band graphic equalizer; all inclusive of high-pass and low-pass filter settings. In addition, the system comes with a sub woofer control. This stereo system features an innovative and powerful interface; user-friendly, responsive and highly customizable. 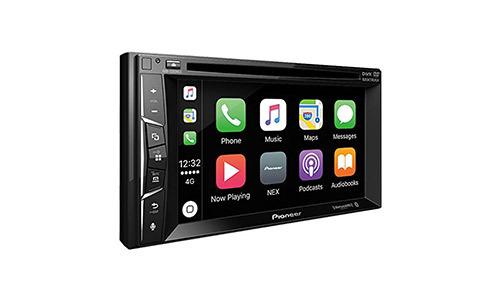 This digital multimedia receiver comes with 7” WVGA display, built-in Bluetooth, Apple carplay, and Android Auto. It’s also SiriusXM ready and has app radio mode. This stereo works perfectly with Spotify, Pandora, and it’s SiriusXM-ready. What’s more, enjoy crystal clear hands-free calling, audio streaming, and access to your texts just by a touch or voice! The Dansrue Car Stereo system is a powerful innovation that features USB/CD Card playing. 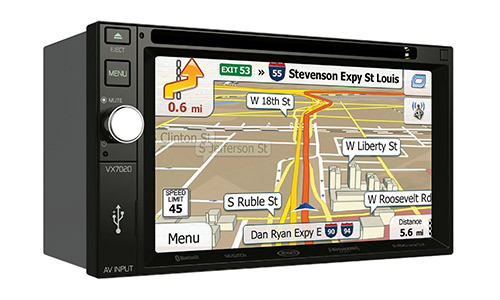 The car stereo is Bluetooth enabled making you play music and make hands-free calls at your convenience when driving. 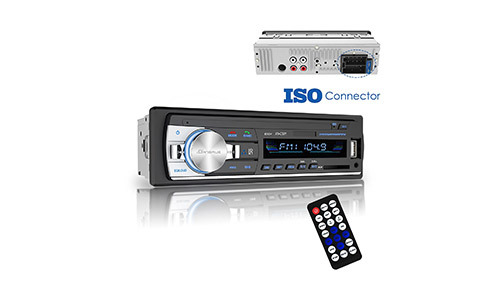 You’ll love the FM Function of the system that comes with high-quality digital stereo. Better still, it has AUX Function and indicates the time on the phone alongside time approximate time the phone should shut down. Confidently purchase the stereo and enjoy a max power output of 60 Watts × 4 with an input Voltage of 12v. This system comes with a 12 Months warranty with 30 days of easy returns to the manufacturers from the date of purchase. 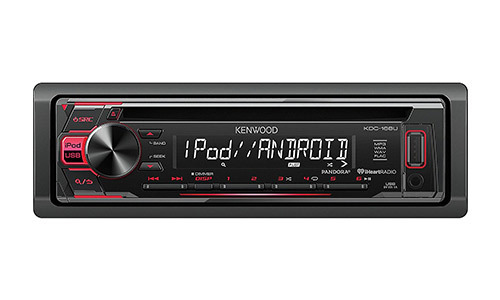 Enjoy a quality sound from Kenwood stereo system which comes with built-in MOSFET amplifier that features 22 Watts RMS and 50 Watts Peak × 4 channels. The face is detachable and the system has a 13-digit LCD display not to mention the red button illumination that naturally complements the system. Interestingly, you can play CDs, CD-Rs, and CD-RW discs. Hence, you shouldn’t have a problem with MP3 or WMA files. If you thought that’s all, the system features Q sound control with 8 EQ curves and a 3-band equalizer. Better still, you can directly control using iPod or iPhone via USB input. In addition, the system is compatible with most factory steering wheel audio controls although, you’ll need an adapter. 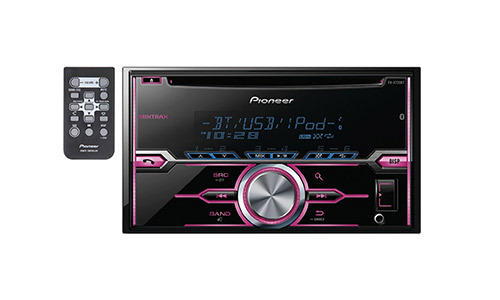 You’ll definitely love the Pioneer FH Stereo system for your car; comes with a built-in Bluetooth. What’s more, you’ll love the variable color illumination that will allow you to precisely match your vehicle’s interior. In addition, the system is integrated to be controlled by IOS devices such as iPod, iPhones, and iPads. This system comes with a wireless controller and supports DVD and CD Cards playback. However, the system uses 1 Lithium Metal Battery to operate. 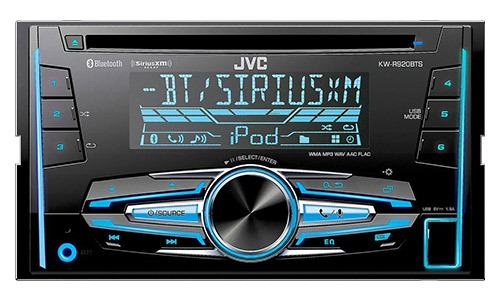 Purchase a JVC KW-R920BTS CD receiver and enjoy a system that covers just about all bases of Audio. 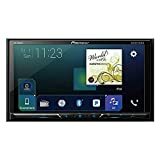 The stereo allows digital music, streaming Internet radio, SiriusXM satellite radio and incorporates old-school music options like CD and AM/FM radio. The stereo allows you to make hands-free calls or even switch between two paired phones using the built-in Bluetooth. What’s more, the receiver allows you to set your favorite colors in three different areas on its face. You’ll definitely love to pick your color, music, and enjoy a Jukebox at your dashboard! This Stereo system will definitely make the best addition to any vehicle. 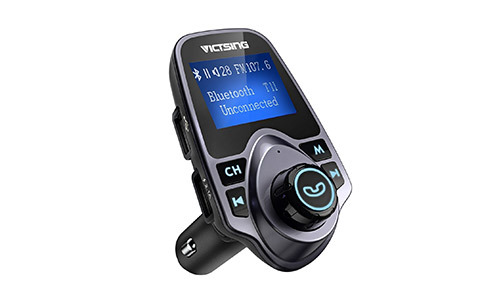 The stereo comes with a built-in Bluetooth technology that easily pairs with a vast number of devices to allow you make hands-free calls or access your text messages. You’ll definitely fall in love with the 6.2-inch LCD high-resolution Touch Screen for a comfortable viewing experience. Better still, the receiver allows you to view and control your SiriusXM, Pandora, iHeartRadio, and Spotify apps. The HDMI/MHL connectivity allows you to mirror your content on the large TFT 6.2” display. In addition, the receiver has app connectivity for iPhone, Android, and Blackberry. Of course, among the common reasons to get a new stereo is to improve the music quality of your system. However, there are more factors to consider. Perhaps you’re looking to purchase a new stereo for your car. That’s alright! How about considering the following aspects? You’ll probably love a stereo that comes with more advanced features such as more detailed displays; you’ll have an easier task to see what you’re doing. A touchscreen monitor can also be worthwhile; you’ll have an easier task to control and adjust the stereo. Interestingly, some stereos come with precision sound controls such as digital time correction and parametric equalization available on higher-end receivers. Car stereos can really enhance the appearance of your car’s interior. You can choose from full-color animated displays, customizable color schemes, and probably touch screens so that you can even select a cool background and theme color. For a better music experience, you can opt for the receivers that flash to the beat. Whether you’re looking to have a deluxe new system or something more economical, there’s a variety of car stereos to choose from. Investing in a good stereo system for your car can be worthwhile; you’ll definitely have the chance to a better sound, more power, more effective tone controls, more entertainment option, and a more enhanced and elegant appearance for your car’s interior.